Moto G6 Plus, the successor of Moto G5 Plus will soon hit the Indian market! The company has already released teasers on Twitter. 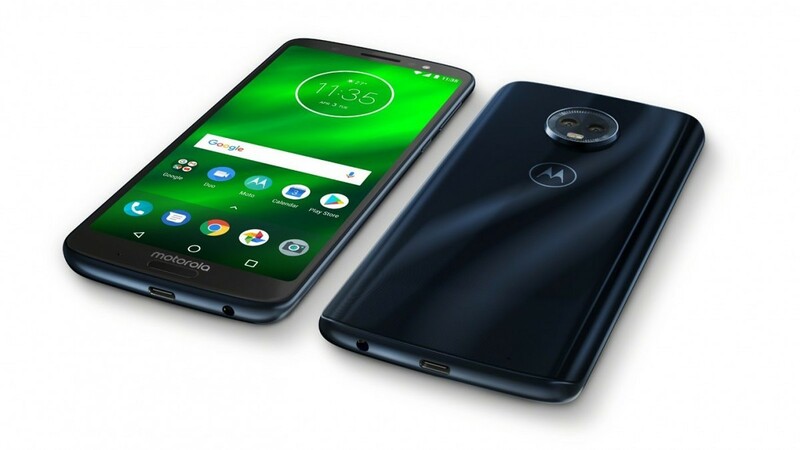 Earlier this year, Motorola announced the Moto G6 series (Moto G6, Moto G6 Play, and Moto G6 Plus) at an event in Brazil. The company launched two of these smartphones- Moto G6 and Moto G6 Play last month in the country. However, Motorola has now announced that the Moto G6 Plus is coming soon to India. This smartphone is the most powerful device in the Moto G6 Series. It runs Qualcomm’s Snapdragon 630 SoC paired with 4/6 GB RAM. The smartphone also features a 5.9-inch display with 2160 x 1080 pixels resolution and 18:9 aspect ratio. The Moto G6 Plus also sports a dual camera set up at the back with 12MP sensor and 5MP sensor. On the front, there is a single 8MP camera. It comes with a 64 GB expandable internal storage. The company claims to offer an immersive viewing experience. The price and launch date are not yet revealed but the expected price is around Rs 25,000. It will be available in two color variants- Deep Indigo, Nimbus. The connectivity options include the latest Bluetooth 5.0 support, USB Type-C port, NFC, GPS, and Wi-Fi. It is packed with a 3200mAh capacity battery with Motorola’s TurboPower charging support. The device runs on the latest Android Oreo out-of-the-box. A dual rear camera setup. An 8MP front selfie camera with Beauty mode and LED Flash. Other important features include Fingerprint Scanner, Dolby Audio, Moto Key, Front-facing speaker, Moto Actions, Moto Voice, and a water-repellent coating. Motorola India has shared a video on Twitter officially which indicates Moto G6 Plus will soon launch in India. Motorola didn’t reveal the exact launch date for the G6 Plus in India. The company claims the presence of “smart camera” on the G6 Plus with “serious performance”. Next: Next post: Samsung teases Galaxy Note 9- Faster and more storage!